After a long work week there is nothing like going to grab a refreshing margarita with your awesome boyfriend. 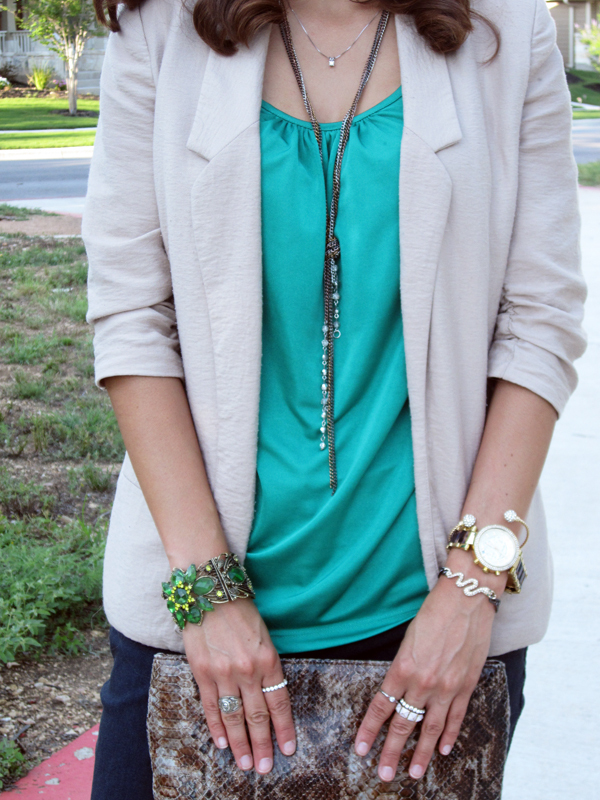 My turquoise tank top is from Marshalls and I threw my Lauren Conrad blazer from Kohls over it to dress it up a bit. Paired with skinny jeans and great metallic stilettos from Shoemint and viola! 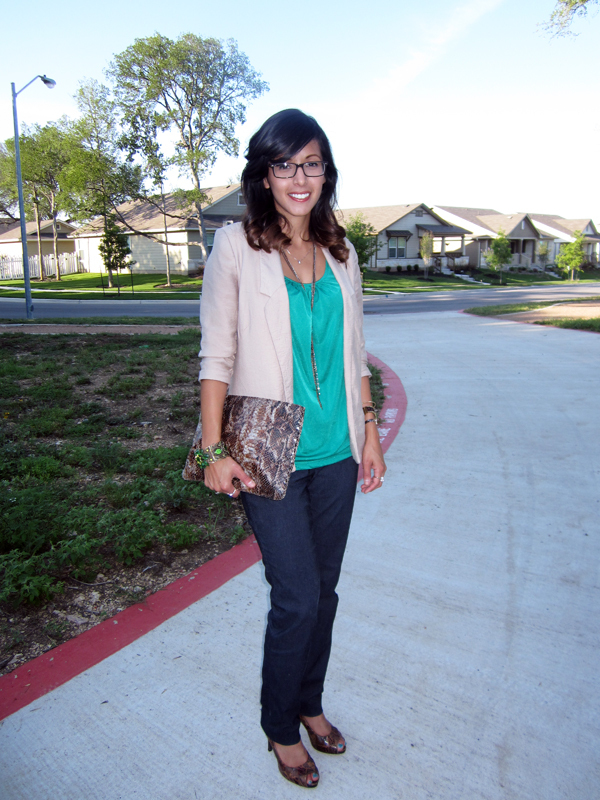 A fun and classy date night outfit. 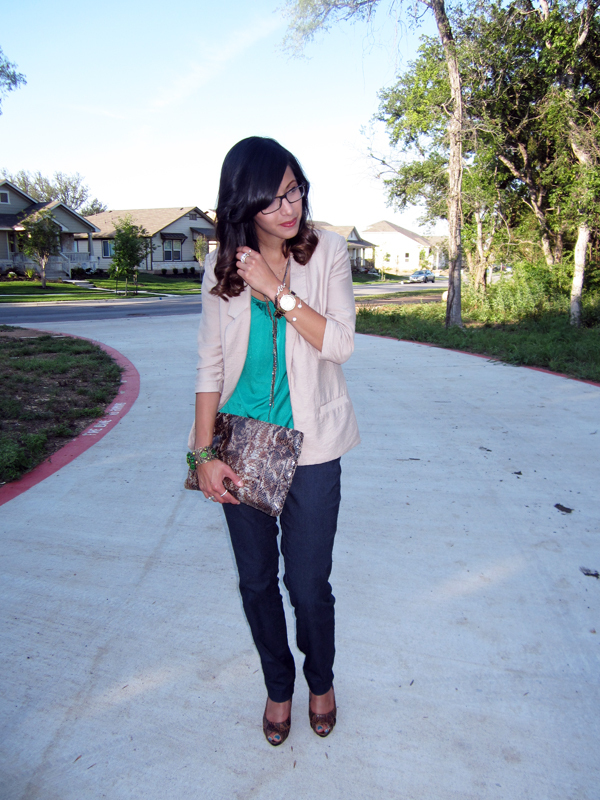 My bright pink purse added a fun element to this outfit. I found this at Marshalls. My pink bracelet and long chain necklace are from Forever 21.